The movers are arriving in a few weeks and it’s time to get serious about preparing for the move. Not only do you need to take inventory of all of your stuff, but you need to start purging, disposing of, and pre-packing some of your items. 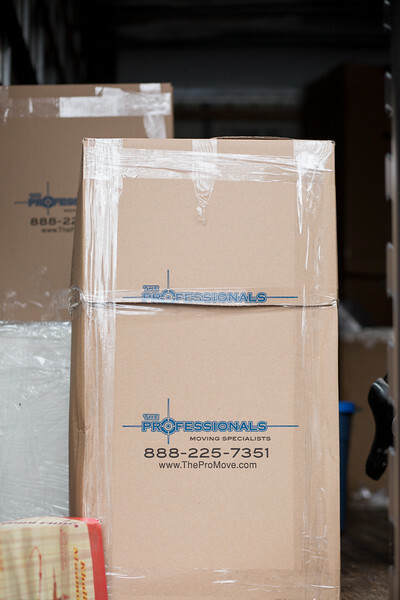 You’ll need to get the appliances ready to be moved and you’ll have to start handling some of the essential boxes yourself, such as the stuff you’ll need to access on the first week of your move that shouldn’t be put on the moving truck. Then you’ll have to find a space to put things that aren’t meant to be packed, such as plants and hazardous items. Take a look at this guide to get a better idea of how to prepare for the movers to arrive. You are likely not going to be taking everything to the new house. It’s a great time to start purging your home and getting rid of useless items that the packers shouldn’t be packing. If there are items that you don’t need to have transported by professional movers because you don’t really want them in the new home, it’s time to sell, donate, or dispose of them. This could be furniture that doesn’t fit in the new home, extra clutter, or kitchen items you wanted to replace. Consider what you can start purging of before the movers arrive. Then, make sure you dispose of things you don’t want packed, such as old food, chemicals and cleaning supplies, flammable items, paint, and trash. If you don’t want to take your plants to the new home, find a friend to donate them to. Now it’s time to take inventory of your possessions so that you can track where things get packed and make sure it all arrives safely at your destination. Take inventory to make sure you can check everything off for arrival and to ensure it hasn’t been damaged, and to make sure you can easily file an insurance claim in the event that something happens to an item and proof is needed it was moved. This will also help you to see how much stuff you are taking in case you want to pare down on your belongings, and to get a better idea of what will be packed together for separating items by room. Then, take some photos in case you need to show them later. When you arrive at your destination and haven’t gotten around to unpacking yet, it will be important to have a few boxes with the essentials to get you started. You won’t be able to wait for a few weeks to locate your shower curtain, bath towels, or prescription medicines. Make sure you’ve packed an “open first box” that you can keep with you for getting your kitchen, bathroom, bedrooms, and kid’s items play area. Next, you’ll want to choose an area to place items that aren’t meant to be packed and to talk to your family about staying safe during this process. Put a note on anything that isn’t mean to be packed by the movers, such as your plants, valuables, electronics, and first-week essentials. Keep it all in one room and make this the meeting room for prepping your family on safety measures during the move. This will be where pets can stay or phone calls can be taken during the time the movers are there. Lastly, start pre-packing things that you prefer to handle yourself, such as high-value items or a collection of magnets or ornaments. This will make it easier for the movers to pack quickly if you’ve handled all of the small pieces yourself. Then prepare your appliances for the move by unplugging things like washing machines and dishwashers. When the movers are scheduled to arrive soon and the house needs prepared, use this list to make sure you’re ready for a swift and efficient move.